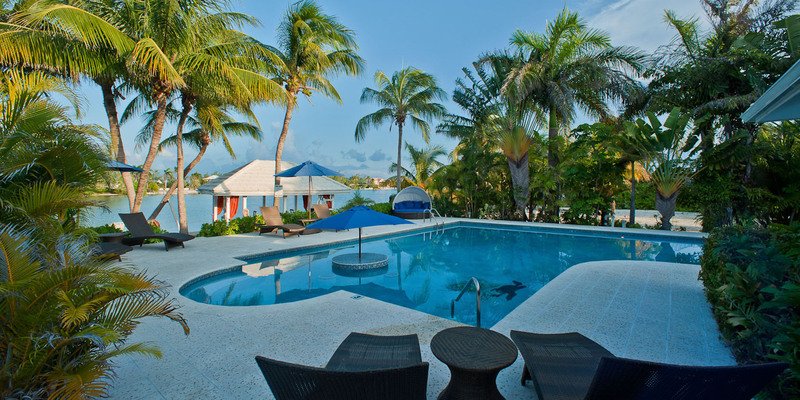 Great Escape is located on a quiet cove in Cayman Kai merely a few steps from the Rum Point Club. This sprawling villa consists of a main house, with 3 bedrooms and 2 baths, plus an optional 1 bedroom and 1 bath guest cottage. Renting both the villa and cottage gives guests two superb master king suites to choose from, plus additional king and queen guest bedrooms. 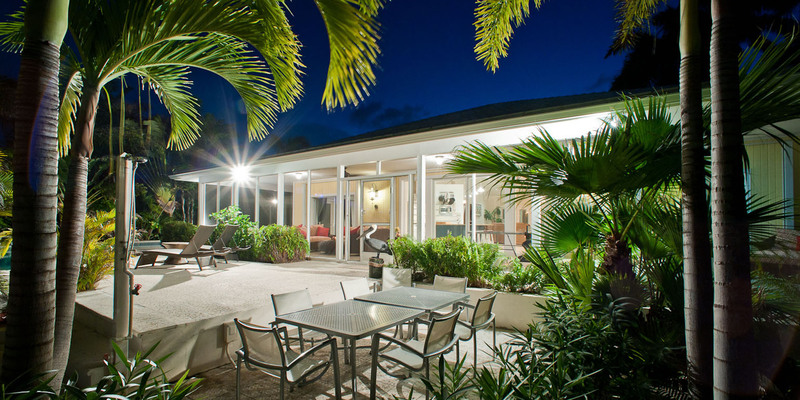 With a large, freshwater swimming pool, barefoot sandy beach, and spacious interiors Great Escape is a fantastic property for your island getaway. The oceanfront master king suite in the main house opens to the screened porch and features an ensuite bath with enormous walk-in shower. The king and queen guest bedrooms in the main house share a full bath with the king bedroom opening onto the screened porch, and the queen bedroom opening to the front porch. The guest cottage comes furnished with a king bed and day bed (sleeps 2 children) and includes a full bathroom, kitchenette, and private screened porch with plenty of comfortable seating. 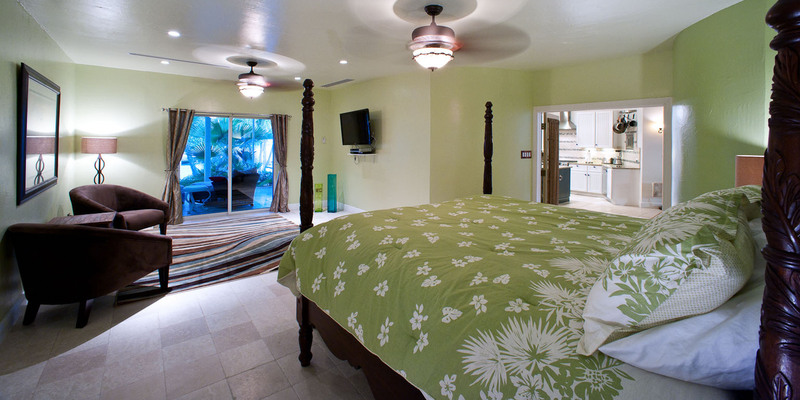 All bedrooms come furnished with flat-screen TVs. Great Escape’s interiors are clean and modern, with cool tile floors and modern decor. Plenty of windows and sliding glass doors open onto the pool deck and fill the home with natural light and gorgeous views. 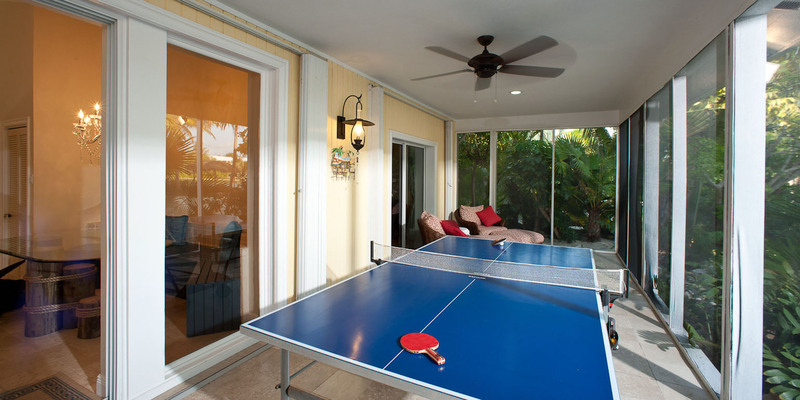 On the occasional lazy day, guests can relax across the large, beachfront screened porch with comfortable seating, or play a friendly game of ping pong without losing the breeze or oceanviews. 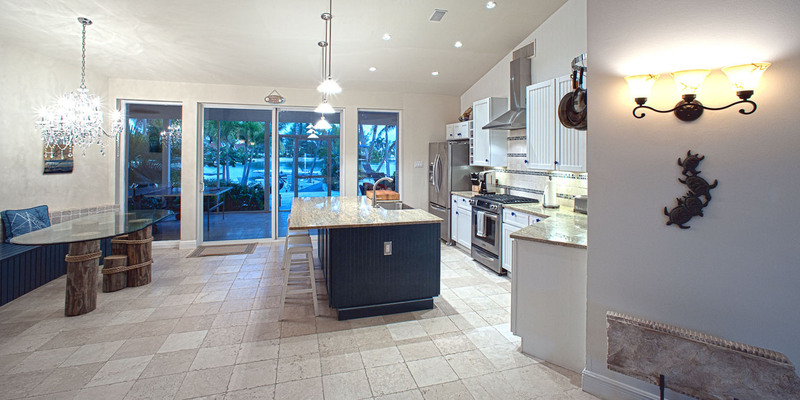 A gourmet kitchen sits just off of the front porch and comes equipped with granite countertops, island breakfast bar with stool seating, and a full range of modern appliances. Cookware, dishware, cutlery, and coffeemaker are all provided. 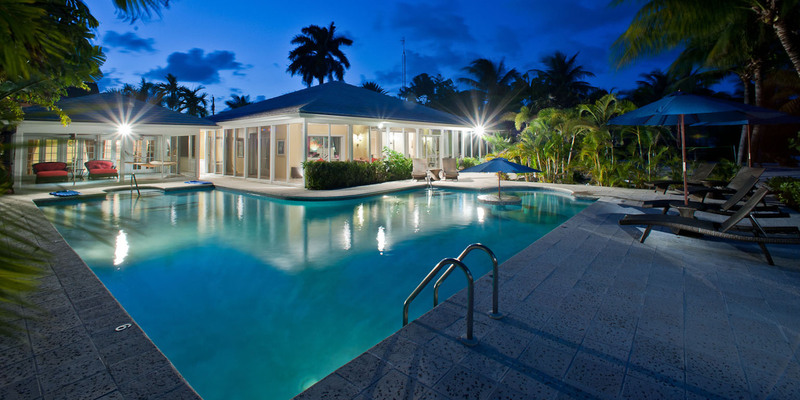 Boasting one of the largest residential swimming pools in Cayman Kai, Greate Escape's outdoor amenities are top-notch. 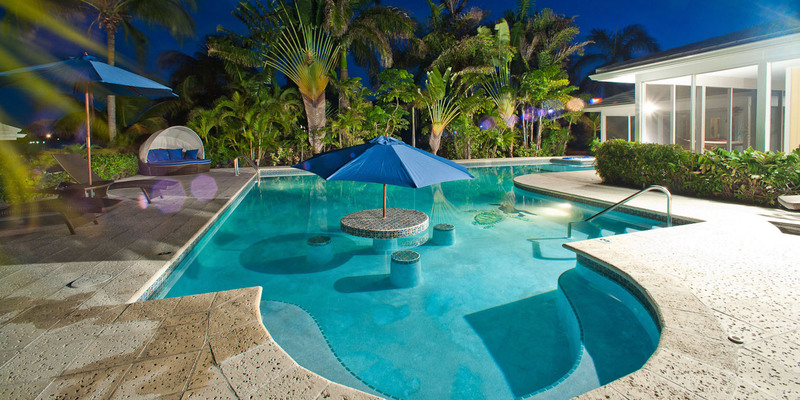 The pool features a built-in table top with submerged bar seating and an umbrella for shade. Optional pool heat is available at $250 per week. The pool deck overlooks the tranquil cove and is lined with chaise loungers, patio umbrellas, and plush patio sofas. 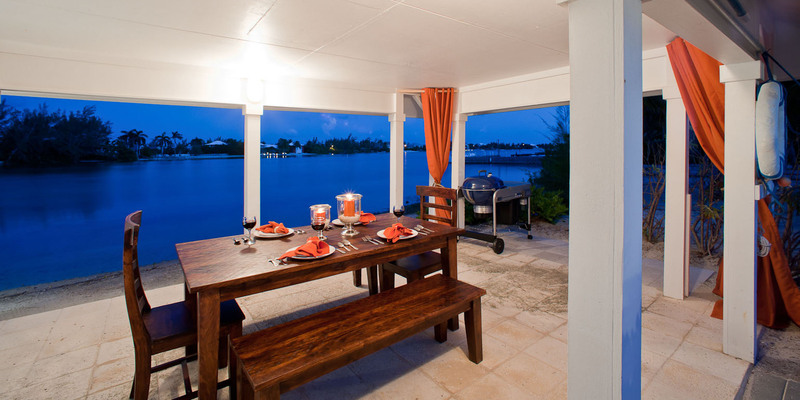 Guests can enjoy al fresco dining under the stars by the pool deck, or under the roofed cabana by the waterfront. With its own private pier, guests can dock boat rentals and jet skis in the backyard, or hire a private boat charter to pick them up right off the dock. With its spacious interiors and stellar outdoor amenities, Great Escape is the perfect vacation villa for large family vacations or multiple couples on a tropical getaway. Security Alarm System available for guest use upon request. *Note: Silver Thatch tandem kayaks and stand up paddleboards (SUPs) available for discounted rental. Signed waiver and 5 day minimum required with 6th and 7th day free: US$39 per day per kayak/SUP ($195 per week/each). Paddles included. 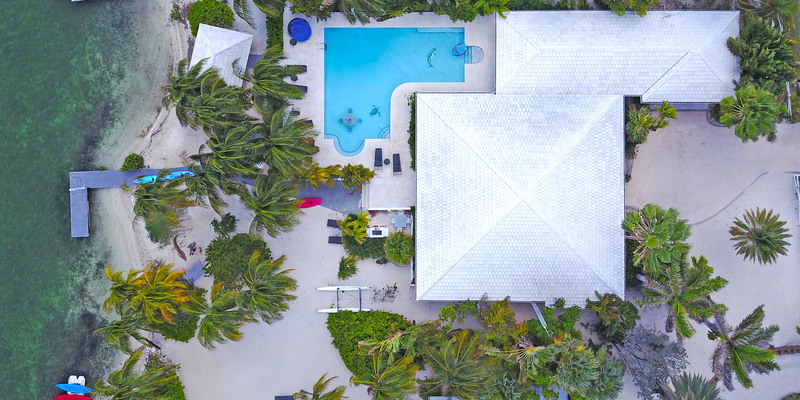 You get the best of both worlds at Great Escape: a backyard facing the cove with a private pool and boat dock, proximity to the Rum Point Club, plus an idyllic beach across the street. Public right-of-way beach access is located diagonally across the street. Lastly, about 20 minutes east we have two large resorts (Morritt's and The Reef) that offer manicured beaches as well as restaurants, a modern grocery store, liquor store, gift shops, a Subway sandwich shop, and a cafe/pastry shop. These two resorts also offer scuba, snorkel trips, jet skis, windsurfing, kiteboarding, ocean front pools and bar service. There were five adults and three children in our group, ages 2-75. The house and bedrooms were spacious and gave us plenty of space to all be together, or for some to retreat to other areas for quiet time. Villa is better than the pictures, and the outside pool, patio, beach, and dock areas were laid out very nicely! Would recommend heating the pool, well worth the money. 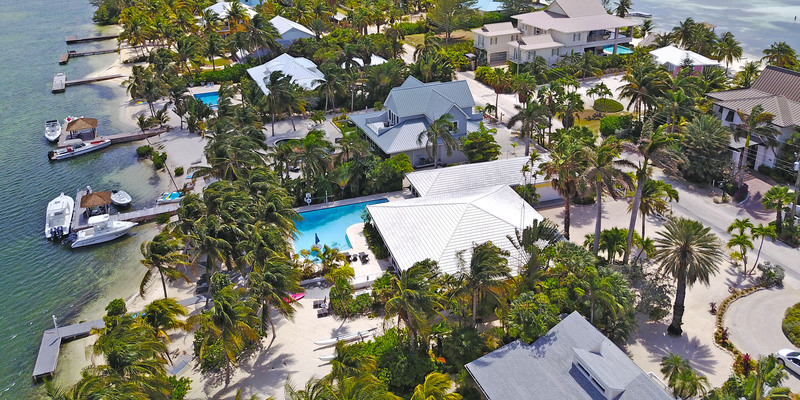 Everyone involved in the rental and support of the property were knowledgeable and helpful(Steve the owner, Roy the property manager, the Grand Cayman Villas, and the Silver Thatch personnel. Activities we enjoyed were snorkeling on reef(water absolutely beautiful), Turtle Farm, Sting Ray City, Starfish Point, and the Rum Point Beach Club. We enjoyed eating at Kaibo Yacht Club, Rum Point, Tucca, Taco Shack, Lighthouse, Coconut Joe’s for breakfast on 7 mile beach, and Rackams on the waterfront in Georgetown. Fabulous vacation, will be back! Three couples have been going to Rum Point and renting a house for 3 years. Each year has been a different house. 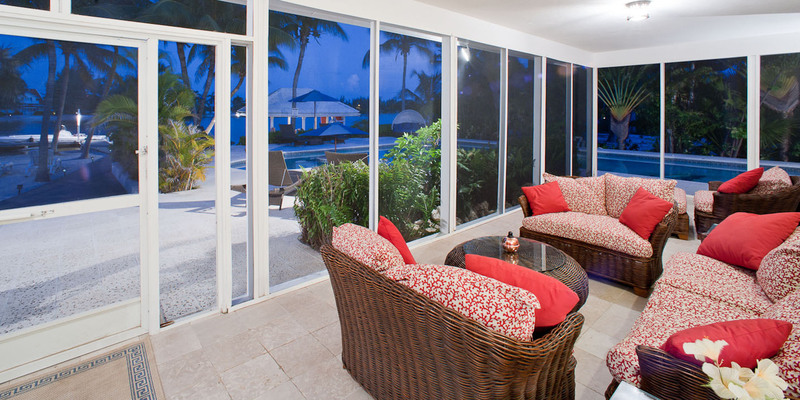 This year we rented Great Escape through Grand Cayman Villas. The booking process was easy and when I had a question Scott Naurath was always available. I never had to leave a message. Without a doubt the best part of the Great Escape is the pool. It is huge. We paid extra to have it heated and we spent most of our time in the pool. The house is nice. The bedrooms, bathrooms and kitchen have been updated and look great. We also added the guest cottage in our rental. It need the updating they have done to the rest of the house. Another thing that is great about this property is that it is a short walk, maybe 3 houses, from Rum Point which has great food and drink. You can also snorkel from the beach at Rum Point. Overall, I would definitely rent this house again. We thoroughly enjoyed the property. Plenty to do to keep our party of 8 satisfied because getting to Seven Mile beach from Rum Point is quite a long trip and driving at night was not easy. If you want peace and quiet this is the place. We had a little trouble getting in touch with the property manager but to his defense there was a wind storm on the island and he was very busy. The pool was very dirty from the storm - we cleaned it ourselves because we were unable to get in touch with Ron and the safe was locked but after it was open it still did not work for us - could have Been operator error. Small issues - great time! We will return to CAY MAN - the island is beautiful! Just an AWESOME place to stay. The pictures of Great Escape painted an accurate picture of what to expect when you arrive. With nine of us staying at the house it was nice to have so much space. 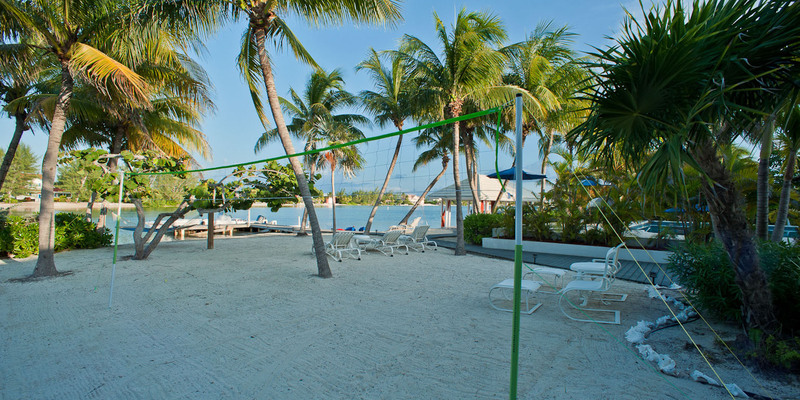 Having the kayaks and paddleboard were nice to have and Rum Point is within easy walking distance of the house. We spent hours hanging out by the pool and the bay just relaxing. The ping pong table was a nice addition. For nine of us, we rented two cars from Marshalls which gave us more flexibility to go different places if we chose to, but never did. Staying at Rum Point is great if you are looking to relax, but if you are looking for nightlife and crowds, go to 7-mile beach. On your way to the house from the airport, definitely stop at one of the grocery stores because it is a good 40-45 minute drive if you don’t. Also, stop at the liquor store. For travelers from the USA and Canada, and probably other countries as well, be prepared for the exchange rate. This caught us off guard and we definitely spent more on food than expected. We chartered a boat one day to go snorkeling and visit Stingray City. We happened to meet Captain Chris who operates out of Nativeway Watersports and chartered a boat for the whole day for $800 which was a bargain compared to other companies. Lastly, definitely grab the Explore magazine for the maps and a copy of the Free News to find out what is going on. I would definitely stay at the house again without hesitation. Great Escape is a fabulous Villa, stunning, perfect, I can\'t say enough about how wonderful it was...the location was also perfect, steps away from Rum Point and the fabulous Mudslides! Going out on the catermaran with Red Sail Sports to stingray city a must do! It was fantastic! House was amazing very spacious and pool area was gorgeous! Short walk to the beach! Loved using the kayaks and the paddle board. Would absolutely stay here again! My family and I would like to thank your team for the wonderful hospitality. We were very pleased with the rental, service and ease of everything. 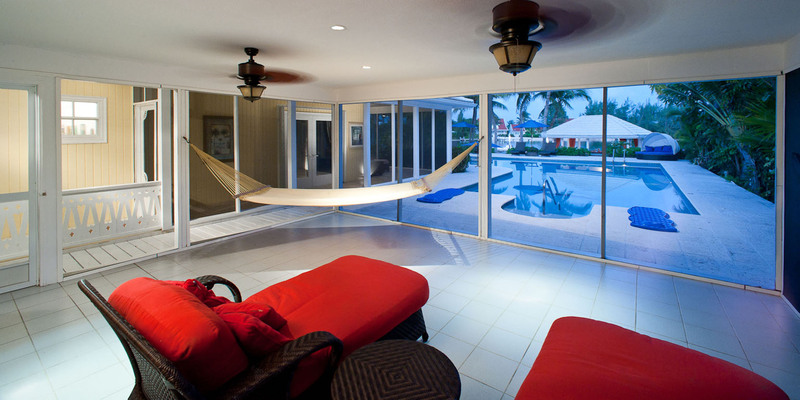 We will certainly use Grand Cayman Villas again on out next visit to the island. Wonderful time and amazing property!!!!!!!! We rented Great Escape for a week and absolutely loved it. We have traveled all over the world and stayed in numerous accommodations. This was by far our favorite. The property was immaculate and accommodated our family of six adults and two children perfectly. Everything about this property was great!!! We spent our days swimming in the pool, fishing off the dock, lounging in the screened in porch, playing games, grilling, and kayaking in the cove. We have stayed on Seven Mile Beach twice before and all agree that staying at Great Escape and near Rum Point was far better. It\'s a much quieter pace, low key, and very safe with no crowds. We loved walking down the street to Rum Point, grabbing coffee at the Kaibo Expresso Bar, and dancing at the Kaibo Tuesday night Barefoot BBQ. We highly recommend this property and can\'t wait to go back. One recommendation we would make is to pay the extra and have the pool heated. We are so happy that we had it heated. Thank you again to the owners for sharing this wonderful property and allowing our family to have such an amazing time in Grand Cayman. We stayed at Great Escape in Feb. 2017. We had 2 families and between us there were 7 kids 7 and under. While the inside of the place was great, the outside area totally made the trip for us! There was so much for everyone to do. The pool was amazing (I think the best pool for kids in all of Grand Cayman) it was shallow enough for them to touch bottom in almost all areas but was nice to have a deeper area as well for diving. It was also nice to have the option of the pool heat. We probably spent half of our vacation in the pool. I was also impressed with all the options for seating outside you could always find a sunny spot to lounge or a shady spot to stay out of the sun plus the all the tables for eating al fresco and the screened in porches were a great place to sit in the evenings (not that I really noticed any bugs). It was also great to be right on the water. While we did not swim in the bay behind the house (too many weeds and jellyfish) the kids loved making sand castles by the water, collecting shells, checking out the fish, kayaking and paddle boarding, and it was also great to be able to have the charter boat pick us up right at our own dock and take us out to see the stingrays. The place was also in a great location, so close to Rum point (about a 2 min walk) where we often went for meals and to swim at the beach. What a great vacation! Beautiful location. Well appointed home. Perfect for 6 adults with space to gather and space to linger peacefully and privately. Frist visit to Grand Cayman in January with extended family and were lucky enough to book the Great Escape Villa through Grand Cayman Villas and Condos(.net). The staff at Grand Cayman Villas took great care of us throughout the planning process as well as during our stay. We enjoyed the pool daily and practically lived outside - only really went in to shower and sleep. The grounds and locale of the villa are extraordinary. The huge pool is magnificent. We paid for the pool heat and are glad we did even though we had a full week of glorious sunshine and warm temps. With the wind, it would have been a bit too cool without heat.The neighborhood is lovely - beautiful waterfront homes of all styles and sizes, yet nothing intimidating or snobbish about the area. You can walk between the homes to get to the beach and wander the sandy shoreline without bothering anyone. Rum point is just across the street, a 4 minute walk, but far enough away that you are not bothered by the cars or crowds (lucky for us, not many people here the week of Jan 10th). We snorkelled at the small reef at Rum Point and it is cool - lots of small fish. We also took the Red Sail catamaran tour out to Stingray City with snorkelling and highly recommend this vendor which you book right at their kiosk at Rum Point. Back to the house - we actually booked the house and the guest cottage due to the sleeping configuration needed for our group, so we had more interior space than we could ever have needed. As for the pool, grounds and outside areas, this place was idyllic. We used the kayaks and paddle board daily to paddle down to the open ocean and go swimming or just float along the shore to admire the amazing properties. We even took the kayaks out at night and realized that the backyard IS the bioilluminescent bay (althought, it doesn\'t shimmer quite as much as the photos you see on the internet). Still quite an amazing thing right in your back yard. I hope to get a chance to visit again. Great Escape is truly as magical and majestic as the photos! I spent a week at the Great Escape with my boyfriend and we could not have been more thrilled with the location, property, and amenities. We felt spoiled to have a private pool and ocean at our feet and loved using the kayak and paddle board right from the property. This house is simply gorgeous and has everything you could want including an equipped kitchen, comfortable beds and couch, a large entertainment center, and a ping pong table. In fact, we enjoyed the house so much that we rarely wanted to leave! 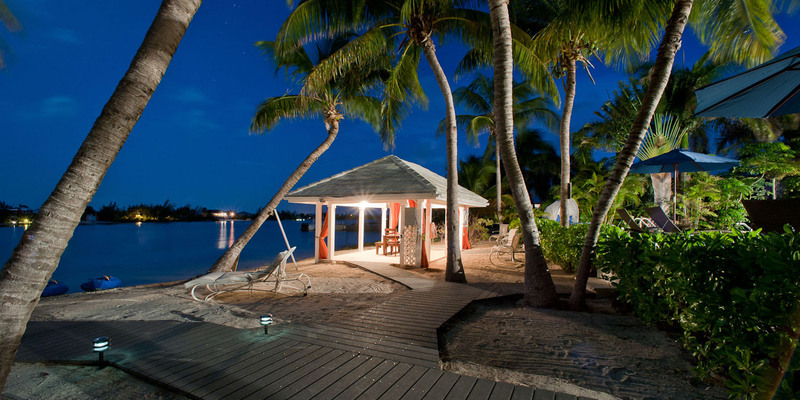 When we did venture off the property, we enjoyed the close proximity to Rum Point and Kaibo for nightlife and dancing. Stingray City is also a short boat ride from Rum Point- a must see! We have already recommended Great Escape to friends and will continue to do so. We can\'t wait to go back! My family of four, two teenagers and two adults stayed at the property and it was perfect. 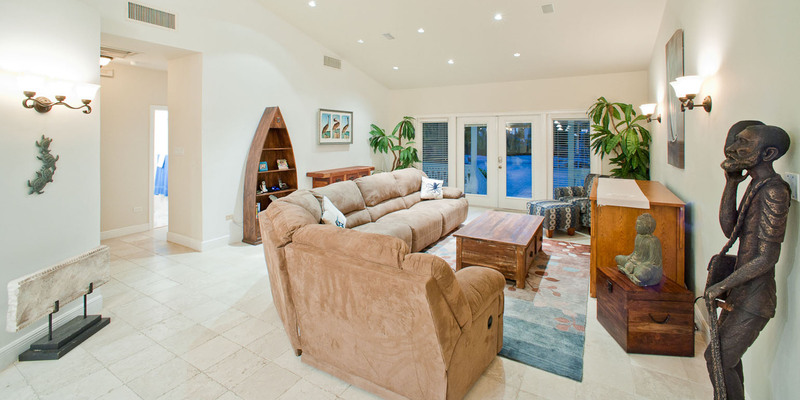 The home was very clean and the perfect layout for hanging out. We really enjoyed the outdoor area around the pool and the screened in porch...very private so we could play music and hang late if we wanted. We used the paddle board and the two kayaks everyday to cruise up and down the inlet. Really nice being so close to Rum Point...yes, just a walk away to see the ocean, grab a bite to eat or relax with a drink. People very friendly and nice. Nothing negative but I will mention that we were there the first week of June (start of rain season) and if the wind was not blowing, the mosquitos were a problem. All the outdoor restaurants came to the table with bug spray just in case. We had lots of ocean air so was only a problem one evening. 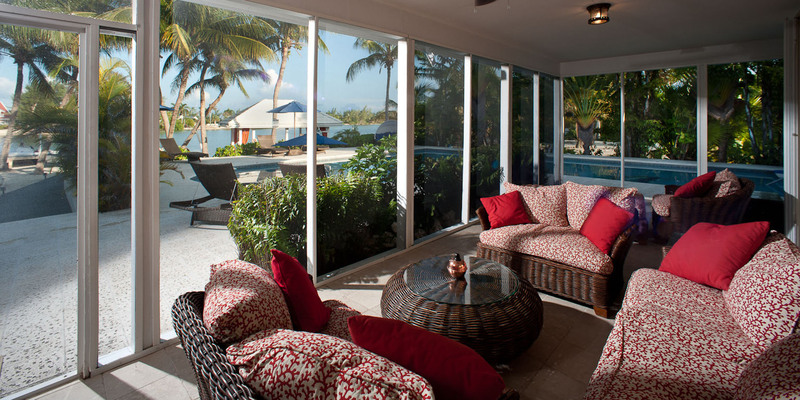 I would definitely stay at Rum Point versus Seven Mile Beach for the privacy and beauty. Great vacation. Best. Vacation. Ever. Amazing. Beautiful. Relaxing. Great Escape is a beautiful home in the perfect location. 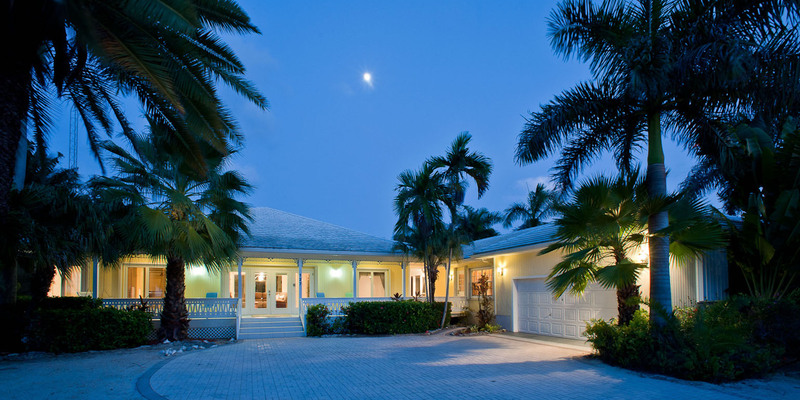 A truly luxurious property with an amazing pool and a short walk to Rum Point Beach, which is fantastic. I can't say enough about the house, the pool, the beach, the island. It truly was a perfect vacation. 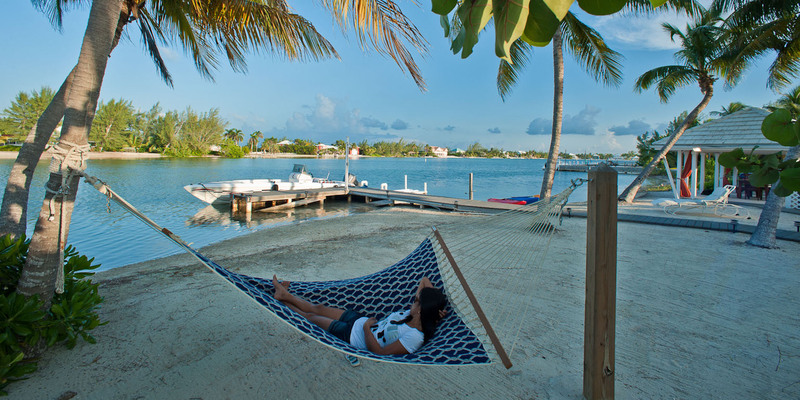 Although it is a drive to the other side of the island, we preferred the relaxing, quiet and island feel of Cayman Kai. The photos of Great Escape are very accurate except honestly I think the pool is bigger than it looks in the photos. 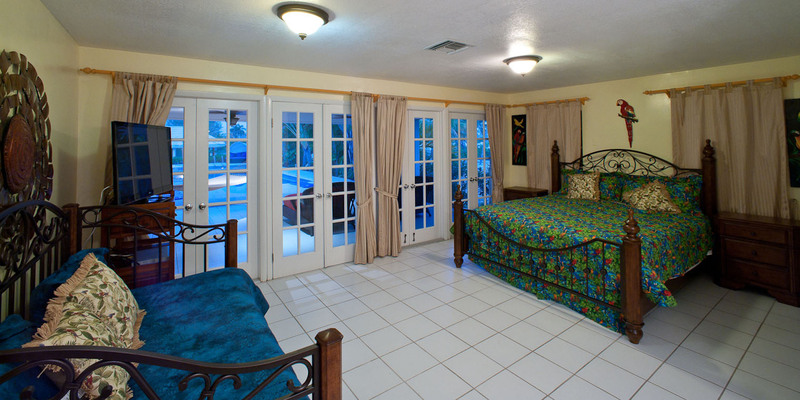 Grand Cayman Villas handled our reservation in a professional, timely and courteous manner. They answered all of my questions promptly. They provided lots of information about the island, the property, restaurants, car rentals, etc. Upon arrival there were a couple minor issues (not worth mentioning) but the Villa Manager answered my call immediately and things were taken care of within 20 minutes. The owners of the property were a pleasure to deal with as well. We received an email from them before our stay with helpful information about the property and the island. We spoke by phone and met in person briefly on arrival. They were nothing but helpful and friendly. Highly recommend Great Escape and Grand Cayman Villas. It might be a few years but we will definitely be back. The house was wonderful, the location was excellent! Quiet! And the bio illumination was sooo cool! We all had a great time! This house is amazing. Every room is comfortable. The master suite is gorgeous and spacious. The pool area is fantastic and all the outdoor furniture is comfortable. We lounged by the pool every afternoon while our little one napped. The walk to Rum Point Beach was easy and the beach was fun. We enjoyed being on this side of the island and could not have asked for a better house! 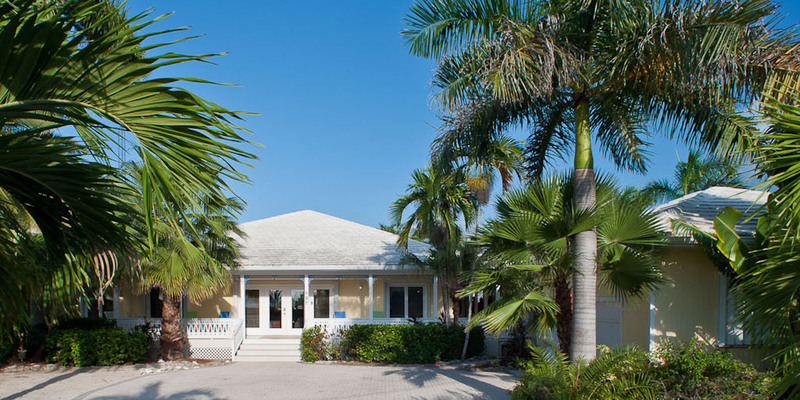 3BR/2Ba "Great Escape" & 1BR/1Ba Guest Cottage are located on the quiet cove in Cayman Kai (only steps from the Rum Point Club) on the north coast. This one story private villa is a great family or couples choice and offers a white sand barefoot beach amid palm trees that offer guests shade from the Caribbean sun. Great Escape is configured to meet the needs of the large family with a sizable "L"-shaped freshwater swimming pool, even including optional pool heat in winter ($250/wk). Service from our booking company (grandcaymanvillas.net) was fantastic. I will 100% use them again after we received nothing but total professional treatment from a clearly great operation. The house was top notch. Our party had 4 houses booked and this was the nicest one for a family, in my view, despite not being on the beach. 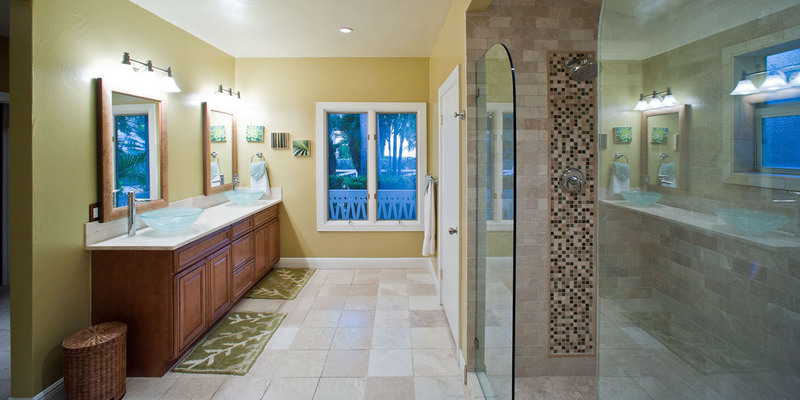 Only a few minor complaints about the house itself, the hot water heater is a little small for the expected heavy usage especially with a dual head master shower, also septic tank can be a little trouble if you overuse water, so just be mindful. The outdoor pool area was great for relaxation. No beach access of course makes it a little less desirable, but I preferred this over the beach access houses in terms of livability. The amenities were awesome1 Kitchen, awesome layout and very inviting if with a group from other parts of the island. All high end appliances (kitchen aide and whirlpool super quiet washer). 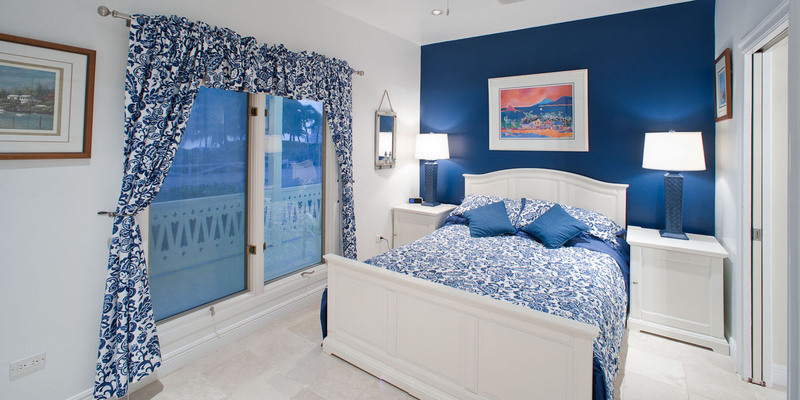 Interior design, well above average, all rooms color coordinated perfectly. Fixtures were all new and top shelf. Master bedroom and bathroom were super! Your wife / girlfriend will adore you for being able to spend time in this room. House is all 1 level, which makes getting around very easy! In house Wifi / phone / cable is nice, but who wants to watch TV? Side rooms for other couples / kids are great. The pool house is great since it is separate and self contained of the main house, so it allows a little separation. Location is far from grocery stores, as you are warned, so make sure you stock up. The service from the manager was great as well. We had a leaking toilet that was causing the septic to not flush water and they had a plumber out within 1 hour on a Sunday! That is great service. I almost don't want to talk the house up too much, so I can book it again. I would not suggest for young people looking to economize or 'party it up', but great for 30 and up couples and those with families.